Photo Credit: Dian Lofton, TED. 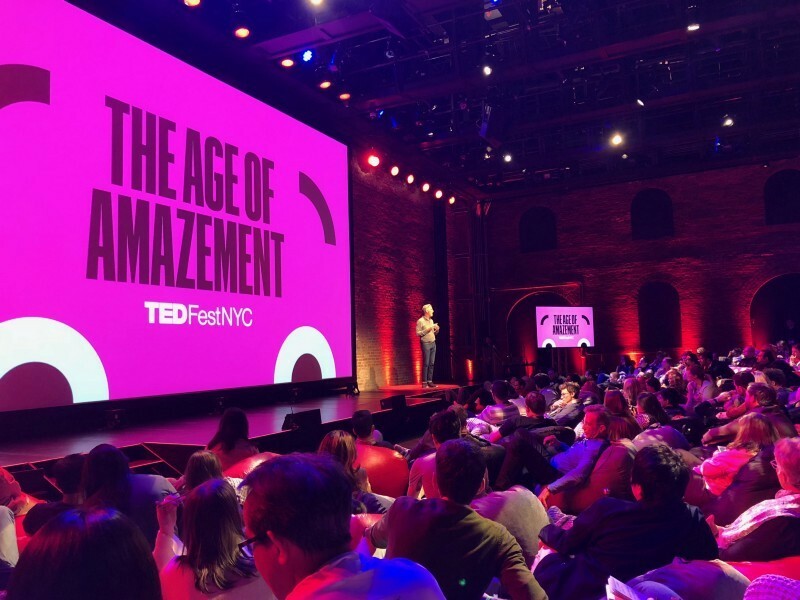 I was very fortunate to be in New York earlier this month at the TEDFest, described here. 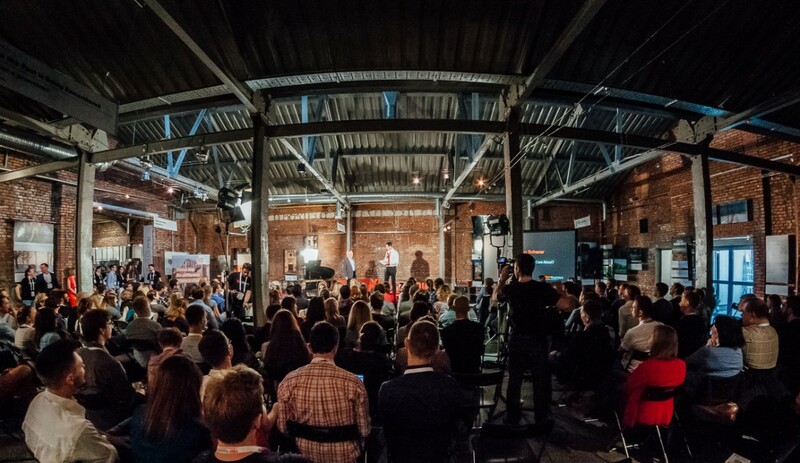 I had already decided to write an account of what I learned and shared, for our TEDxKazimierz community. 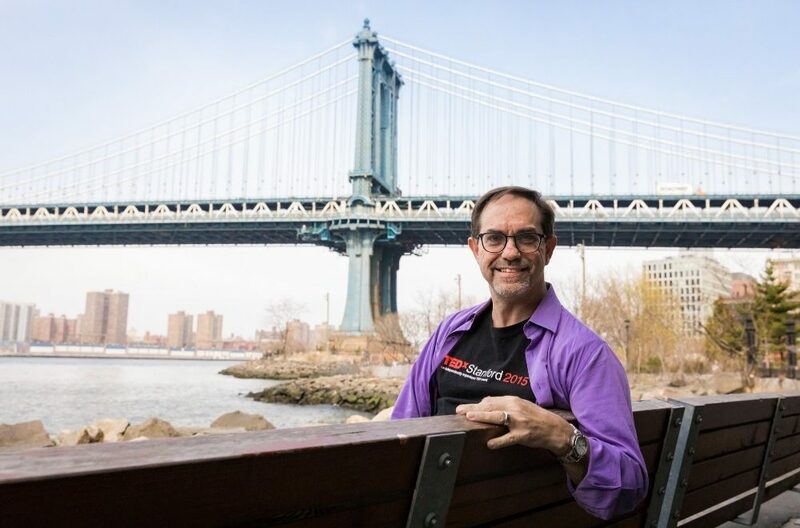 Even while I was in the United States, JD Schramm wrote a powerful blog post which captured many ideas and more that I want to share. 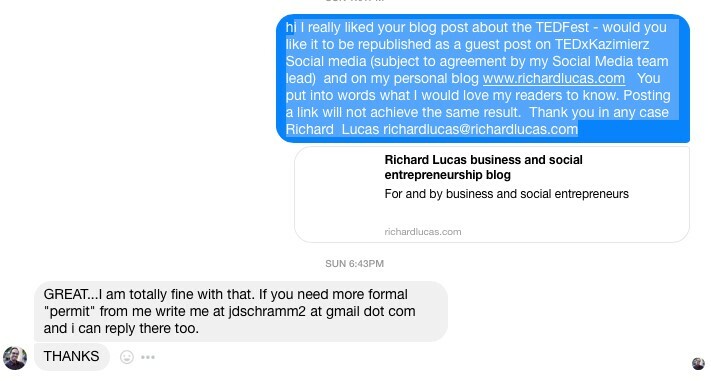 I sent him a note of appreciation, and request to republish, as below. I will write my own comments on the TEDFest, and the Pre Event which I organised with another TEDx-er before the TEDFest started. JD Schram’s TED profile is here, and professional bio is here. 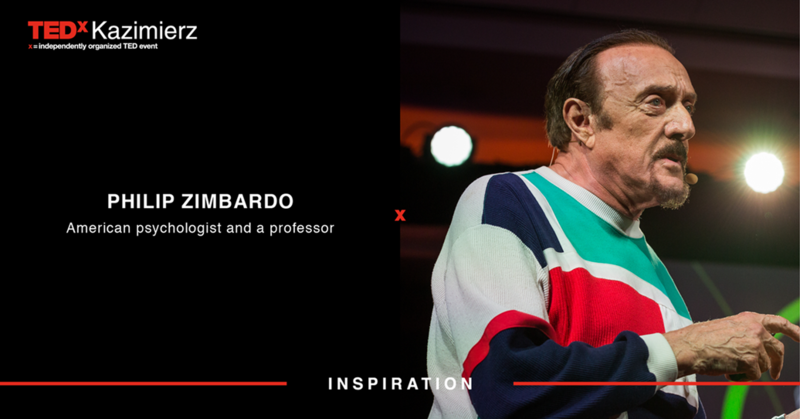 His favorite TEDxStanford talk is Yubing Zhang whose talk was titled: Life Begins at the Edge of Your Comfort Zone. 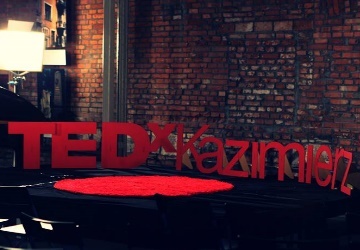 He writes in his TED Profile that he is “passionate about Using TED Talks in the classroom, mentoring young people, and telling stories” so I am shared with him one of our highest rated talks from TEDxKazimierz 2017 by Alina Malocha “TEDx in a Polish High School”. 1. Ideas are more important than the way they are delivered. TED rests and falls of the power of ideas. 2. We need to have dialogue with those we disagree with. Thank you JD Schramm for sharing. Permit me to now expand on these three lessons. At this writing only a few of this year’s TED talks are online, but each day that number will climb. I’ll try to go back and revise this blog periodically with hyperlinks to the talks. In the first three talks of session one I knew this was a TED like no other. I was initially a bit surprised to see Trace Ellis Ross lead off reading from note cards, then stunned to watch Diane Wolk-Rogers (a history teacher who survived the Parkland shooting) read from a full manuscript, and finally speechless (pun fully intended) when noted scientist Jaron Lanier sat for his entire talk. But then, like a ton of bricks it hit me: TED’s about the IDEAS, not the polished presentation skills. It felt to me as if the curators were sending a clear message by the opening of TED2018, don’t judge the speakers on their dynamic delivery, listen to the strength of their ideas. So I did. I set aside my typical plus/delta critiques that I provide my own communication students and let the compelling content wash over me, inspire me, touch me, alarm me, delight me. By talk four, with newly calibrated expectations I was freed up to be with the content regardless of the delivery. 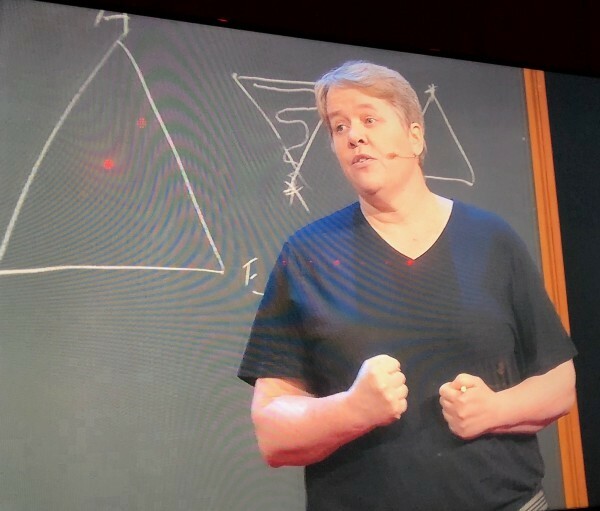 Don’t get me wrong, some delivery skills were indeed stellar: I could not ignore some amazing storytelling with data examples (Kate Raworth, Adam Grant, Steven Pinker) and some remarkable imagery (Rajiv Laroia, and Ian Firth) and gripping stories (Simone Giertz, Robin Steinberg, and Alex Honnold). Yet, I could also empathize with the speaker who lost her place and had to restart or others who experienced tech failure (yes even at TED). My strategic communication students who delivered their first graded talks while I was at TED may be the greatest beneficiaries of this insight for me. Zachary Wood in the first session and Dylan Marron in my final session served as complementary, yet different, bookends for this lesson. Wood, a college senior at Williams, brings controversial figures to his campus through a program he founded called Uncomfortable Conversations. His administration rescinded invitations of some polarizing figures and critics argued that he was providing a platform for people whose beliefs were not just provocative but outright wrong. Yet Wood was compelling and convincing as he argued that “tuning out opposing viewpoints don’t make them go away.” His serious demeanor brought gravity and conviction to the stage in his highly structured argument. Gently borrowed from Dylan’s Facebook page. 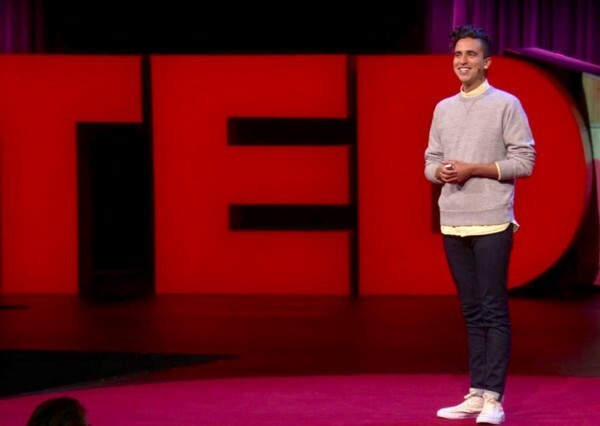 Using a radically different style writer Dylan Marron had me laughing hysterically at his podcast antics. Openly gay and simply brilliant he shared how much hatred he received online for his pro-gay, pro-trans, views. Initially he responded to critics somewhat viciously, poking fun at spelling or grammar errors, fighting words with fighting words. But slowly he realized that nothing would change if he didn’t first change. He began to reach out directly to his fierce critics and invite them to engage in dialogue. He even played for us a few sound clips of interviews featured in his podcast: conversations with people who hate me. His gift to engage in dialogue inspired me. He emphasized that “empathy is not endorsement” but it can open doors. Snapped with my iPhone; wanted to capture the chalkboard. Directly after Dylan came my colleague from HBS Frances Frei. We’ve met and chatted on a few occasions, but this was my first experience of her presentation skills. She’s masterful. She shared her journey for about nine months as SVP of Leadership and Strategy at Uber. She consciously took on the opportunity to go to a “place on fire.” With professorial precision she wrote on a blackboard with chalk (novel for the TED crowd) outlining the three aspects of restoring trust: empathy, logic, and authenticity. (My Reputation management class will see this talk on Monday!) She articulated that if any one of these three “wobbles”, it threatens the whole promise of trust. At Uber she and her team were able to build empathy by eliminating smart phones in meetings and have people connect directly with each other. They improved logical reasoning through massive education efforts, guiding people to communicate their “point first” rather then meandering to a final conclusion. But ultimately she found that authenticity is the most vexing of the qualities. It is so much easier to coach people to fit in, rather than create ways for people to become their best selves. 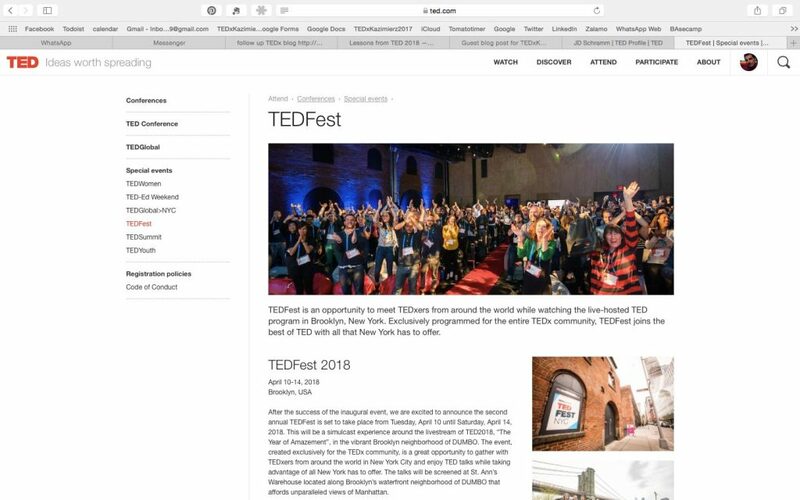 There’s so much I’m not sharing with you but at its core, for me, TED2018 came down to engaging with ideas, embracing dialogue, and cultivating authenticity. That synthesizes the primary lessons I can grasp tonight from the remarkable week of TED. More will continue to be revealed as I watch and re-watch talks from this year’s conference. Like great cooking these ideas (and scores more)need to marinate to reach their full impact.